* The Royal Albert Hall, London has recorded the graph of Lata's voice with the help of a computer which is by far the "Most Perfect" in the World. * Although Lataji attended school for a day, she has been awarded an Honorary Doctorate by 6 universities including the New York University. * Lataji has been rated as the 2nd most Admired Indian after Atal Bihari Vajpayee (The Week-Mode opinion poll). She has also been Voted as The Most Important Indian of the 20th Century (Arts) in a Net Survey By IndiaWorld.com. *After India’s losses in the India-China war in 1962, Lata had sung the song, Aye Mere Watan Ke Logon, Zara Aankh Me Bhar Lo Pani. The song, moved the then Indian Prime Minister, Jawaharlal Nehru, to tears and he confessed 'Beti toone mujhe rula diya'. * Once when Lataji was 6 or 7, she was humming a tune to herself, suddenly she fell down and got unconscious. On regaining consciousness she started singing the same song from where she had stopped it on losing consciousness !! * She has a permanent gallery reserved for her at the Lord's Stadium from where she enjoys watching her favourite game- Cricket. * Photography has been one of her lesser known passions. * At the age of two Lataji had an attack of Smallpox which made her to carry its marks to this day, she also suffers from an acute Sinus problem. 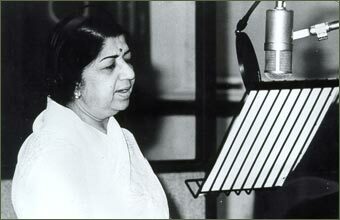 * Lata always sings barefoot as a mark of respect to the platform where she sings. * She Can sing in 3 Octaves, most singers can only sing in 2 octaves. * Aayega Aanewala [Mahal](1949) is considered to be one of the biggest hits in Lata's career but The Gramaphone Company Of India gave the credit for the playback of this film to 'Kamini' which was the character Lata sang for, she is yet to be paid for this song. * Naushad Saheb told Lata to imitate Noorjehan for the song 'Uthaye Ja Unke Sitam' [ANDAZ] (1949), he said "Achha Latabai Ab Apni Pakistani Behen Ko Yaad Kar Ke Yeh Gaana Gayiega." 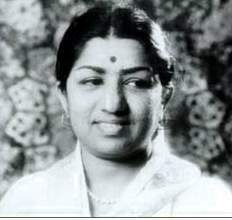 * In 1985,Lata performed in a charity show in Toronto, this was the first time that a 3rd World Artiste performed for a 1st world charity organisation and collection of over $1,50,000 were made which Lata donated to the charity organisation. * The secret of Lataji’s melodious voice lies not only in her talent but also in her strict discipline over her diet , so she eats a lot of Chillies preferably Kolhapuri chillies which add to the sweetness in her voice. * To keep ourselves fit we exercise, go to the gym etc. but for Lataji its a different story altogether to keep her voice in shape she chews gum !! ,yes Chewing Gum. * Like most actresses, Madhubala before signing any new film insisted that Lataji playback her songs. After all, 'Aayega Aanewala' immortalised the magical Madhubala's onscreen charisma. * She has a liking for scents and perfumes especially the very Indian ‘Itr’. 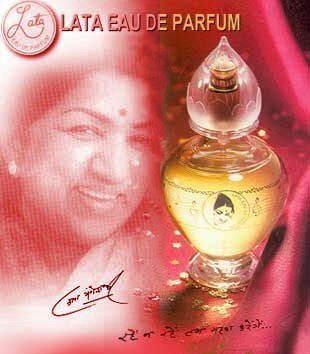 It is this liking for Itr which prompted the launch of Lata perfume which initially has its range of fruity tones which have been selected by Lata herself . 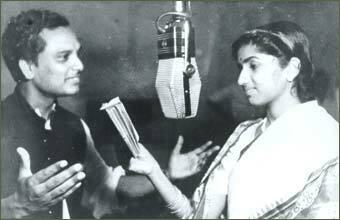 * 16th December, 1941 marked her first AIR broadcast, her father Deenanathji heard that broadcast in Pune and it moved him to tears. 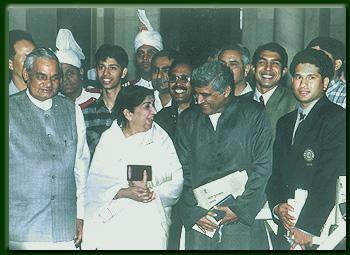 "Lata will take the family name further" is what he said on that day. * Before singing any song Lataji writes the song in her own Hand-writing and starts by writing ‘Shri’ on top of the page. * If reborn Lataji would want to be an Indian again and preferably a Maharashtrian but not again as a woman. 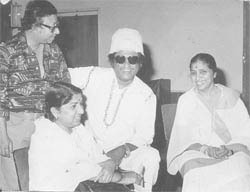 * In 1984, the Madhya Pradesh Goverment instituted the Lata Mangeshkar Puraskar in Lataji's honour.The award has been conferred to Anil Biswas, Naushad Ali, Kishore Kumar, Jaidev, Manna Dey, Asha Bhosle & Khaiyyam. * Nargis declared she never required glycerine to emote for Lataji's songs. How else can heartwrenching love be articulated than in 'Rasik Balma'. 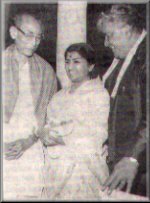 * Bimal Roy once persuaded Salil da to sing a complex Bengali song Salil Chowdhary obliged and was alarmed to find that young Lata had fainted. She confesses, 'While listening to the song, I was overcome. I couldn't control myself'. 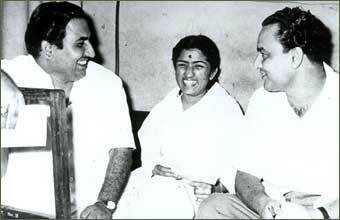 * 'Rasik Balma'[CHORI-CHORI] won the best song Filmfare Award, Lata refused to sing it live in protest of no playback category. * She knows Urdu as well as her mother tongue Marathi. * She has never sung for O.P.Nayyar & has never performed in Goa even though she hails from a small hamlet Mangeshi in Goa. * Despite being of a shy persona, Lataji is a good mimic and likes telling jokes. * Of all the actresses, Lataji feels her voice suits Saira Banu the most. .
* Lataji loves getting small gifts from friends and family, Greeting Cards are her favourite. 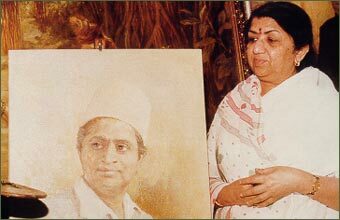 * Lataji was first named as 'Hema' according to her birth date, she was nicknamed 'Hridaya' by her father, the name Lata was used later.Although, the family surname was Hardikar, it was Lata's father who adopted the surname Mangeshkar, since the family hails from a small village, Mangeshi, in Goa. 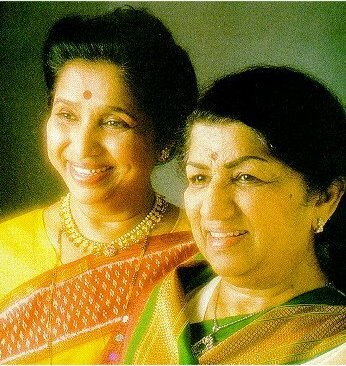 * The very talented Asha Bhosle revealed that there are no negative vibes between the two sisters (Lata & Asha), they are considering a worldwide tour together in the near future. This would definitely be a blockbuster tour, as both sisters have a huge following all over the world. 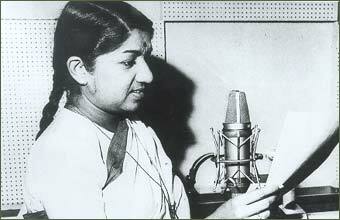 * Lata Mangeshkar has undertaken a colossal hospital project to immortalise the memory of her father. 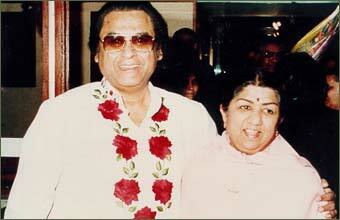 For the purpose the Lata Mangeshkar Medical Foundation was formed. * Dinanathji also owned a studio in Sangli,Maharashtra. * Satyajit Ray & Lataji are the only two people who have received both the Bharat Ratna & the Dada Saheb Phalke Award. 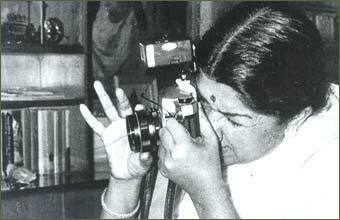 * Lataji is the 5th Woman to receive the Bharat Ratna, the other four are Indira Gandhi, Mother Teresa, Aruna Asaf Ali & M.S.SubuLaxmi.